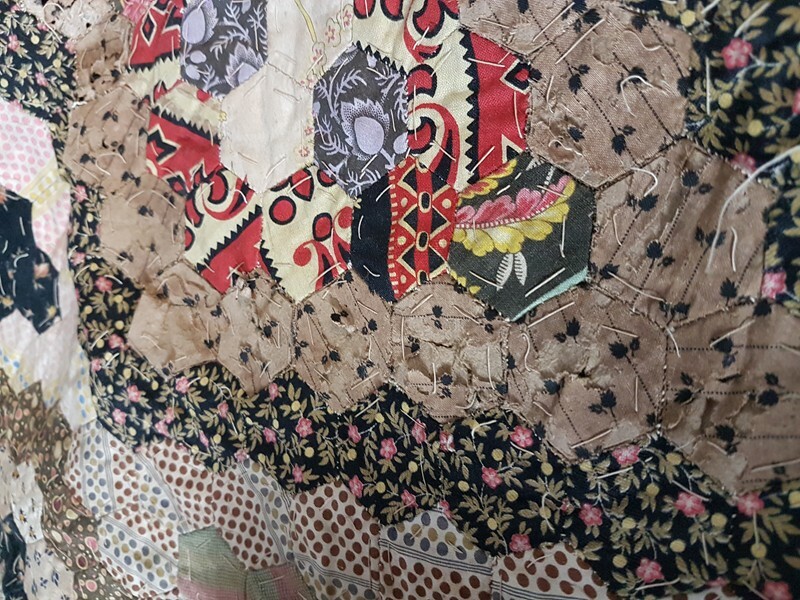 A very nice and scarce late 19thC patchwork throw, it is in overall nice condition but there are areas of wear and a few tears as photographed. It has a lace type backing. Measures 2 metres by 205cm.